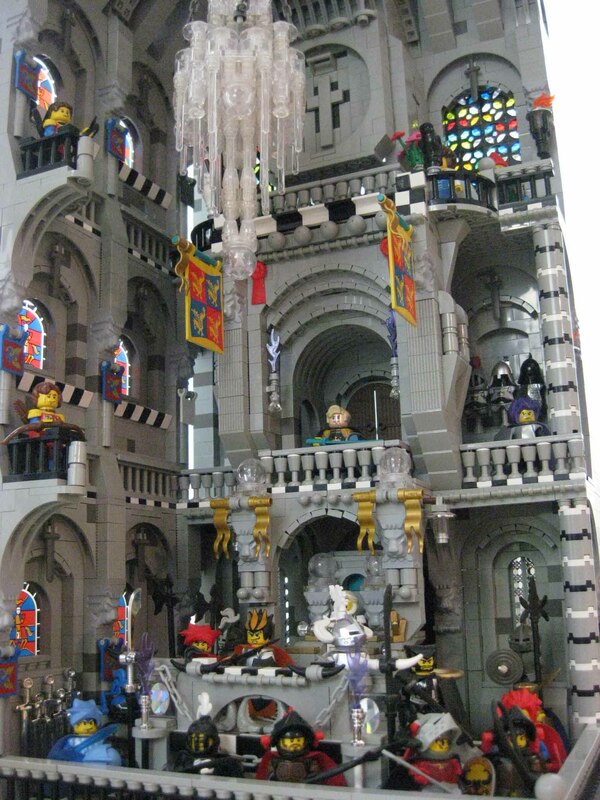 Don’t miss other great details, from the windows to the arches, in ixtutetsukun’s Chandelier gallery on Brickshelf. Let’s hope ixtutetsukun posts more great creations like this in the future! ^ agreed! You can really feel the atmosphere. Does anyone know where the king’s beard comes from? I am unfamiliar with it and can’t find it on bricklink. ^ It’s a custom element by Arealight. Those windows are just epic! Is the rug made out of lightsaber blades? The chandelier reminds me of the ice one in the Wii game Zack & Wiki.